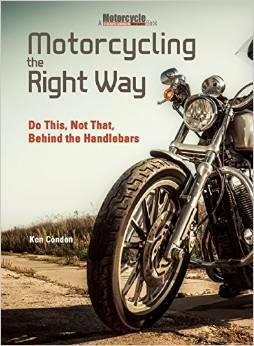 Ken and his hand-picked staff of top instructors will share their vast knowledge of riding technique with any intermediate or advanced track day rider or new racer who is eager to improve his or her riding. Personalized Instruction is held in conjunction with Tonys Track Days (TTD) events. What benefits can you expect from One-on-One Training? • Novice (RED) track day riders will learn to maximize throttle and brake control, and discover the benefits of proper body position. *Note that TrackDay novices are encouraged to get some track experience before signing up for one-on-one instruction. Tony’s Track Days offers Novices a comprehensive First Timer’s Program to introduce track riding concepts and help increase confidence and improve control. 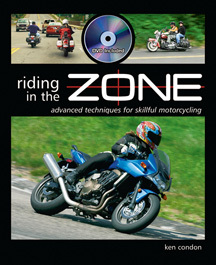 • Intermediate (YELLOW) track day riders will learn how to progress to the next level. Riders will achieve greater control and confidence that translates to both track and street. • Advanced (BLUE) track day riders will overcome stagnation through precision, skill refinement and rider efficiency. • New racers will reduce lap times and become more competitive by improving racecraft. -Students must have a minimum of one year of street riding experience. -Students will ride in their appropriate track day group. Each student will receive personal attention during 3 on-track sessions and 3 off-track discussion sessions spaced out through the day with open practice sessions in between. Communicators will be used when appropriate and if conditions allow. Note: communicators are less effective at the higher speeds attained by many Yellow and most Blue group riders. On-board video of at least one session with video debriefing session. Please bring a laptop or a flash drive if you want to take the video home with you. One-on-one track day training is available for track day riders and new racers.